When you mention Kansas City to someone who isn’t as deeply ingrained in Kansas City as a real estate agent or someone who lives here, BBQ and Jazz are two of the fine things that stand out as Kansas City attractions. We do love our BBQ and pride ourselves on being steak lovers as well. Over the past few years, we have been slowly and quietly building a reputation for Kansas City arts. With the recent addition of the Kauffman Center for Performing Arts and the world renowned new addition to the Nelson Atkins Museum, as well as the WWI Museum, the Kansas City arts scene is taking its rightful place alongside other cities known for their arts. These Kansas City attractions are quickly becoming destination places and centers of influence in the arts community both locally and worldwide. 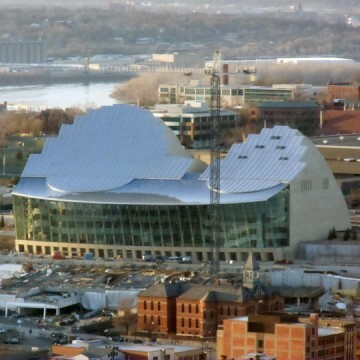 It's been said that a lot of great ideas and designs started on paper napkins and the Kauffman Center shares this history as well. With almost 285,000 square feet, it stands as a major Kansas City attraction and an architectural wonder of glass, pre-cast concrete and bead- blasted steel. The Center features three halls, offices for staff and rehearsal spaces, dressing rooms and warm up rooms. The arts community is growing, thanks to the diverse featured artists at the Kauffman Center. The breathtaking architecture combined with the functionality of the space make it one of the most valuable Kansas City attractions. One of the best Kansas City attractions, the Nelson-Atkins museum is known as one of the best general art museums in the U.S. and boasts a collection of 33,500 works of art. Many of the exhibitions are free to the public. The arts scene is enriched by the exhibitions that pass through and stop to be featured as Kansas City attractions. Hungry museum goers can enjoy the Rozzelle Court Restaurant that has live music, sit down service and hosts a variety of special events. The restaurant is open for lunch Wed-Sat, dinner Friday, and Sunday brunch. The spirit of family and children is found in many Kansas City attractions, and the Nelson-Atkins Museum of Art is no exception. The Ford Learning Center has many innovative programs for people of all ages which exemplify the museum’s approach to museum-based education. With a resource center, tours, programs and workshops, The Nelson-Atkins Museum of Art is one of the most important Kansas City attractions. 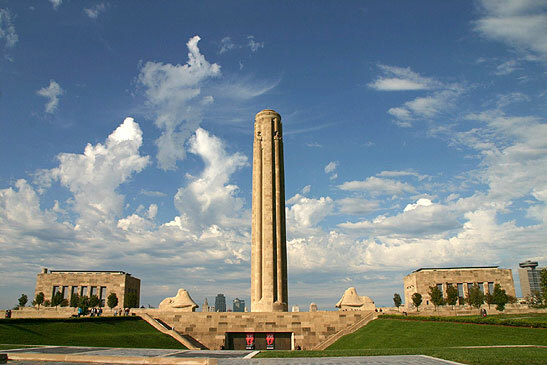 A national historic landmark, the Liberty Memorial and the WWI Museum were designated in 2004 by the US Congress as the official museum dedicated to WWI. The museum and the traveling museum both tell the story of the First World War. Crossing a glass bridge over 9,000 poppies, each a representation of a life lost, to 32,000 square feet housing period artifacts, maps, uniforms, guns, a tank, propaganda posters, replica trenches and interactive displays. This museum is a treasure for history buffs and those wanting to understand and visually see the events leading up to and during WWI and stands as an important Kansas City attractions.